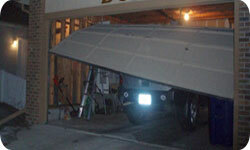 Call today to get your garage door opener repaired in any part of your region. We could have someone visit your home within an hour of your call, so you will not have to wait too long for our repair team. All of our staff are fully trained, and have years of experience in working with garage doors and the devices which open and close them. All technicians we employ are professional, friendly and helpful. We make sure that all of our employees conduct themselves according to the highest professional standard. Any questions you have will be answered in a courteous and clear manner and we will never charge you without your written consent. There is no better garage door company than ours. Call us now at (972) 914-9127 and get a free estimate of the total cost of service.